A Greenlight Asbestos Register will clearly outline the location, extent and condition of asbestos materials on your site with in-line photos and colour-coding of hazards for ease of identification and to help you understand the risk. Every state in Australia has a law that requires an Asbestos Register to be on site and accessible at all times. Greenlight are your road-map to asbestos health and safety and compliance with these laws. Experienced and vetted - each consultant has a minimum of five years experience. We will have a quote ready for you within 24-hours of your enquiry. When is an asbestos register required? How often should an asbestos survey be carried out? Who is responsible for providing the asbestos register? My building is new - do I still need a register? Your asbestos register will communicate clearly the location and extent of asbestos materials on your site. Greenlight have a unique approach that represents world's best practice. We distil the important information for your site, what is asbestos containing and what is not, into colour-coded entries within the report to clearly communicate the asbestos risk or safety of the identified materials. We include photos in-line with each entry for ease of identification. An asbestos register is a legal obligation for all workplaces in Victoria that were built prior to 2004. Additionally, the workplace must be inspected every 5 years. An asbestos register is also required prior to any demolition or refurbishment activity on a commercial property or on residential properties if carried out by a commercial company (the laws then consider the residence to be a workplace under the OHS Act). The asbestos register must also note the more common things like this asbestos cement ceiling. The ceiling is in good condition, sealed and labelled. This is the kind of material that can remain as is, provided workers are aware of its location. As an independent check on the initial audit. When it comes to asbestos registers its not always 'apples and apples'. 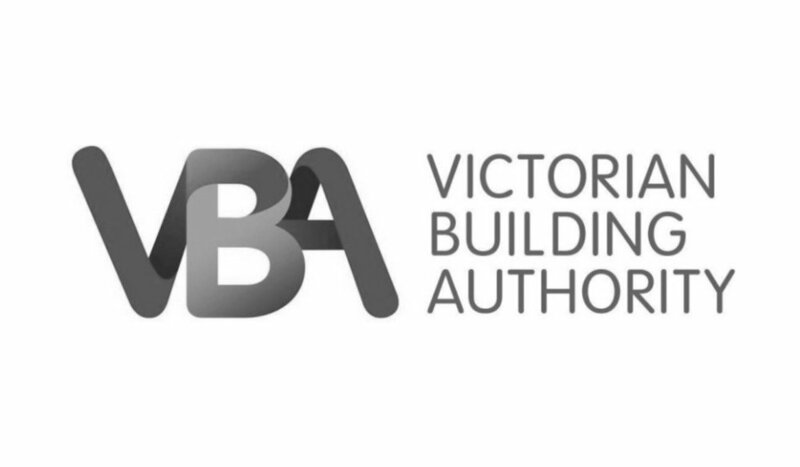 Greenlight frequently finds asbestos registers in Victoria that are either performed poorly, miss asbestos items entirely or are otherwise non-compliant with the current regulations. When choosing a company, be sure to hire a qualified organisation such as Greenlight. A refurbishment or demolition project is planned for either a part or the whole of a workplace (Division 6 Asbestos Audit). An asbestos register must account for the electrical boxes and backing boards. This electrical cupboard has asbestos cement lining materials and an asbestos containing backing board. Electricians must be made aware of any asbestos materials like this on your site. An asbestos register is usually presented as a table within a larger document with structured location information followed by any notes regarding the materials assessment such as sample numbers, material type and disturbance potential. A good register will succinctly present the asbestos items as well as non-asbestos items making clear which is which and defining the extent of any hazardous material. Greenlight has a unique approach. We present colour-coded items with in-line photos, risk assessments and recommendations all in one entry. reports by other companies may present some generalised (rather than specific) recommendations in seperate sections - in particular, photos are often tucked away at the back of the report, leaving you to potentially mistake their meaning. A transparent algorithmic material risk and priority scores as well as extents are presented for each item. Many companies don’t carry out a risk assessment at all, let alone with the thoroughness of our asbestos inspection reports. Be careful who you choose - it is not apples and apples. The outcome of this is that we can present an overall risk for each item. As a comparative measure this helps to understand the relative risk of each item and of each site. We also detail each asbestos materials extent and the overall extent for each site in square metres. Each item will also be assigned a Priority Rating (P1 to P4) so that you can easily identify the items you need to take action on. Non-Asbestos items will be noted in your report along with sample information and in-line photos. Non-Asbestos Materials items are included for record keeping. For example, we may have found that a particular cement sheeting does not contain asbestos. You will find details of the sampling location and photos in this section of the report for your reference. Also included are materials that may be confused with asbestos items on a visaul basis. For example, masonite panels, if painted over may be indistinguishable from asbestos cement sheeting without intrusive testing. Or if a particular room is found to be free of asbestos we will include a general construction entry listing the particular materials found in the room. Who is Responsible for Providing an Asbestos Register? My Building is New - Do I need an Asbestos Register? Buildings built after 1990 are far less likely to contain asbestos than those built prior, however due to the exceptions that do exist, you are still required to have an asbestos survey, even if your building was built in 2002. Out of site out of mind? These asbestos cement pipes must be on your asbestos register. The pipes extend into a lower plant room above some new water heaters. New equipment with old infrastructure - very common. The process of obtaining an asbestos register for your business or property is straight forward and can be provided within a week of our investigation. The first step is to give us a call on 03 9048 4411 or you can send us an email at info@greenlightservices.com.au. For all asbestos registers in Victoria, request pricing or call us on 03 9048 4411 today.